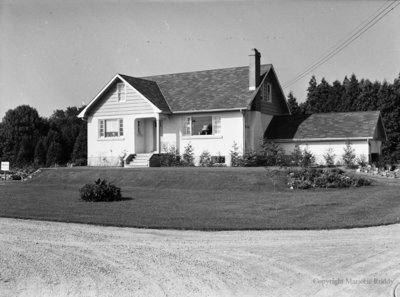 A black and white large format negative of a house on Highway 12. The name on the negative envelope is "Plato". View is of the front of the house. House on Highway 12, September 12, 1952, Marjorie Ruddy. Whitby Archives A2013_040_242.